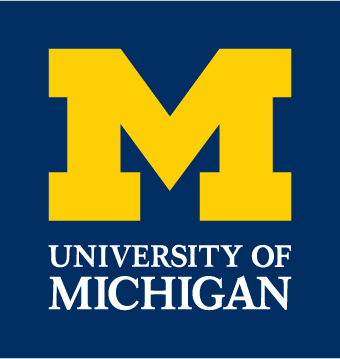 The University of Michigan has opened up a new test facility for autonomous car testing. Called Mcity, fittingly as Michigan is really the ancestral home of car production in the US, it was opened in July last year within the research campus of the university. It is also designed to make the testing cars think with differing corner angles, dirt sections, a long straight road, roundabouts and what it describes as “tunnels” by which I think they mean covered areas to simulate the sudden darkness / light change when entering a normal tunnel. All things that the eyes and ears of an autonomous car must see, hear, absorb and make a fast decision on. The facility is part of the Mobility Transformation Center (MTC) which is a public/private partnership entity working on new connected and automated mobility systems that will get deployed in the future by its industry partners. Along with Mcity, the University has access to areas of Ann Arbor and South East Michigan where testing can take place in a “real world” scenario. MTC isn’t just for techno-wizards, it is taking a holistic approach to the problems associated with future mobility systems by working on legal, political and regulatory aspects of such advances. Taking it further, they are also figuring out the social and business uses and then the necessary urban planning that will need to be developed to maximise the changes. As you would expect – like every other test facility – it is a closed environment that needs to be booked and that is exactly what Ford announced in November. In their own press release Ford said that they had been testing autonomous cars for 10 years already and this facility ups the ante with it’s realistic features contained in a safe environment. Personally I am not a fan of autonomous driving – if I don’t want to drive I will take a bus, taxi or train, however I recognise that this is a way that the world is heading and having facilities like this around the world should make the new developments more reliable and also the peripheral aspects of such transport defined early. Clearly this will be an area where vast dollars are going to be spent and I think the University of Michigan has a head start – and has been sensible to open a centre only 42 miles away from downtown Detroit, the original “M” (Motor) City keeping the industry in its heartland and not forcing it south or westwards. Who knows, maybe the MDetroit Center Connector service may become the first autonomous shuttle system using the knowledge learned at Mcity!